Head Coach Lynze Roos takes over during the first few practices of the 2015 Volleyball campaign. Wofford Men's Basketball had their last first practice in the Ben Johnson Arena, as they prepare for the season ahead. The Wofford College baseball team rallied late for a 10-8 win over The Citadel on Sunday afternoon at Russell C. King Field to sweep the weekend series. The Terriers were down 6-2 at the seventh inning stretch, but scored three runs in the seventh and five runs in the eighth to secure the victory. 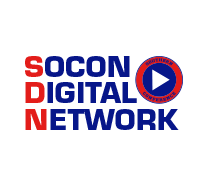 \n \nWofford is 21-17 overall and 5-7 in the Southern Conference. The Citadel is 13-23 overall and 3-6 in league play. The Terriers earned a series win against the Bulldogs for the third straight season and it marked the first series sweep of the Bulldogs by Wofford since joining the Southern Conference. Wofford had 13 hits in the contest, with two each from McClain Bradley, Brett Hash, Carson Waln, Max McDougald and Demetrius Jennings. Six of the 13 hits went for extra bases. The Bulldogs were led by Barrett Charpia with three hits, including two home runs, and three RBIs. Men's Basketball prepares for the beginning of the 2015-2016 Campaign. Ralph Polson at the team are back on campus as they prepare for another great season. Wofford would like to welcome its newest volleyball coach, Lynze Roos. Amy Kiah and the rest of the team are out of the field preparing for the season. Be in Greensboro, N.C. November 22-24 for the 2014 Volleyball Championship! Wofford guard, Bobby Perez, has been through a journey not many people know, but he has conquered through cancer and continued on his journey of life. The Wofford Football team was presented their 2017 SoCon Football Championship trophy on Sunday during halftime of the men's basketball game. With runners on second and third with one out, Junior Mack Nathanson hit a 2-run home run to lift the Terriers over Furman to start conference play. The Wofford Terriers say goodbye to what they have called home since 1981. Senior Guard Eric Garcia becomes the 46th person in Wofford history to score over 1,000 points in their career. Eric has tacked on to that, over 400 assists good for being only the 3rd player to ever do so in Wofford history (1,000 points and 400 assists). Wofford announces its opponents for the 2016 football season, including a matchup against old conference rival ETSU. Wofford defeats Mercer in 5 sets after trailing 2-0. Chattanooga defeats Wofford 20-17 on a last second field goal.